Coming from a family of teachers, Bethany Maclean has wanted to work in education for as long as she can remember. That dream is now a reality for Maclean, who is graduating from The University of Winnipeg’s integrated Bachelor of Education and Bachelor of Arts program. Her passion for education is evident in the long list of extracurricular activities she has been involved with during her studies. In addition to working as a curricular tutor, Maclean has served as a day camp counsellor, soccer and basketball coach, after-school program supervisor, and a ministry intern at her church. She has also expanded her educational experiences by volunteering abroad — conducting a children and youth program in a humanitarian outreach initiative in Romania, and volunteering in a pre-school program in France. Throughout these various roles, Maclean has exemplified the qualities of a dedicated educator and has helped develop creative problem solving, communication, and leadership skills among the young people she has worked with. She is described by instructors at UWinnipeg as an engaging and self-motivated student, who consistently performed at the top of her class across many areas of the curriculum. While she is graduating with a major in geography and a minor in French and history, Maclean has also excelled in mathematics and English language arts education. Maclean has received several awards for her academic and leadership excellence, including the Allan J. Ryckman Memorial Scholarship, the Edmond and Dorothy Dyck Scholarship in Education, and the Dr. Jean Memken & Dr. Michael Rogers Scholarship in Education. During her time at UWinnipeg, Maclean has developed a teaching philosophy that goes beyond academics and focuses on teaching kids to be good, well-rounded people. She’s hoping to put that philosophy in motion this fall when she starts teaching phys-ed and French at The King’s School. 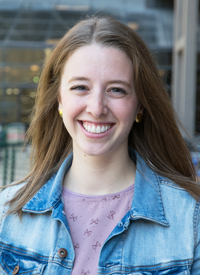 Working in a faith-based school is particularly exciting for Maclean, who credits her faith for getting her through the many challenges of her undergrad.